Machine learning patents grew at a 34% Compound Annual Growth Rate (CAGR) between 2013 and 2017, the third-fastest growing category of all patents granted. International Data Corporation (IDC) forecasts that spending on AI and ML will grow from $12B in 2017 to $57.6B by 2021. Deloitte Global predicts the number of machine learning pilots and implementations will double in 2018 compared to 2017, and double again by 2020. Within the Business Intelligence (BI) & analytics market, Data Science platforms that support machine learning are predicted to grow at a 13% CAGR through 2021. Data Science platforms will outperform the broader BI & analytics market, which is predicted to grow at an 8% CAGR in the same period. Data Science platforms will grow in value from $3B in 2017 to $4.8B in 2021. Source: An Investors’ Guide to Artificial Intelligence, J.P. Morgan. 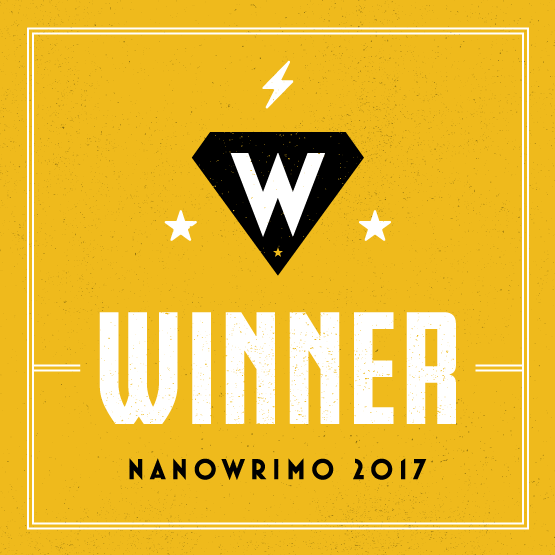 November 27, 2017 (110 pp., PDF, no opt-in). Machine learning patents grew at a 34% Compound Annual Growth Rate (CAGR) between 2013 and 2017, the third-fastest growing category of all patents granted. IBM, Microsoft, Google, LinkedIn, Facebook, Intel, and Fujitsu were the seven biggest ML patent producers in 2017. Source: IFI Claims Patent Services (Patent Analytics) 8 Fastest Growing Technologies SlideShare Presentation. 61% of organizations most frequently picked Machine Learning / Artificial Intelligence as their company’s most significant data initiative for next year. Of those respondent organizations indicating they actively use Machine Learning (ML) and Artificial Intelligence (AI), 58% percent indicated they ran models in production. Source: 2018 Outlook: Machine Learning and Artificial Intelligence, A Survey of 1,600+ Data Professionals (14 pp., PDF, no opt-in). Tech market leaders including Amazon, Apple, Google, Tesla, and Microsoft are leading their industry sectors by a wide margin in machine learning (ML) and AI investment. Each is designing ML into future-generation products and using ML and AI to improve customer experiences and improve the efficiency of selling channels. Source: Will You Embrace AI Fast Enough? AT Kearney, January 2018. SAS, IBM, and SAP lead the Predictive Analytics and Machine Learning market based on 23 evaluation criteria applied to 14 vendors by Forrester in 2017. Forrester predicts the Predictive Analytics & Machine Learning (PAML) market will grow at a 21% CAGR through 2021 as evidenced by the increase in client inquiries and purchasing activity they are seeing with clients. Source: Data Science Association, Predictive Analytics & Machine Learning Vendors, 2017 and The Forrester Wave™: Predictive Analytics And Machine Learning Solutions, Q1 2017 courtesy of SAP. Deloitte Global predicts the number of machine learning pilots and implementations will double in 2018 compared to 2017, and double again by 2020. Factors driving the increasing pace of ML pilots include more pervasive support of Application Program Interfaces (APIs), automating data science tasks, reducing the need for training data, accelerating training and greater insight into explaining results. Source: Deloitte Global Predictions 2018 Infographics. 60% of organizations at varying stages of machine learning adoption, with nearly half (45%) saying the technology has led to more extensive data analysis & insights. 35% can complete faster data analysis and increased the speed of insight, delivering greater acuity to their organizations. 35% are also finding that machine learning is enhancing their R&D capabilities for next-generation products. Source: Google & MIT Technology Review study: Machine Learning: The New Proving Ground for Competitive Advantage (10 pp., PDF, no opt-in). McKinsey estimates that total annual external investment in AI was between $8B to $12B in 2016, with machine learning attracting nearly 60% of that investment. McKinsey estimates that total annual external investment in AI was between $8B to $12B in 2016, with machine learning attracting nearly 60% of that investment. Robotics and speech recognition are two of the most popular investment areas. Investors are most favoring machine learning startups due to quickness code-based start-ups have at scaling up to include new features fast. Software-based machine learning startups are preferred over their more cost-intensive machine-based robotics counterparts that often don’t have their software counterparts do. As a result of these factors and more, Corporate M&A is soaring in this area. The following graphic illustrates the distribution of external investments by category from the study. Source: McKinsey Global Institute Study, Artificial Intelligence, The Next Digital Frontier (80 pp., PDF, free, no opt-in). Deloitte Global is predicting machine learning chips used in data centers will grow from a 100K to 200K run rate in 2016 to 800K this year. At least 25% of these will be Field Programmable Gate Arrays (FPGA) and Application Specific Integrated Circuits (ASICs). Deloitte found the Total Available Market (TAM) for Machine Learning (ML) Accelerator technologies could potentially reach $26B by 2020. Source: Deloitte Global Predictions 2018. Amazon is relying on machine learning to improve customer experiences in key areas of their business including product recommendations, substitute product prediction, fraud detection, meta-data validation and knowledge acquisition. For additional details, please see the presentation, Machine Learning At Amazon, Amazon Web Services (47 pp., PDF no opt-in). The global machine learning market is expected to grow from $1.41B in 2017 to $8.81B by 2022, attaining a 44.1% compound annual growth rate (CAGR). Factors contributing to the market’s global rapid growth include new technologies that excel at data aggregation, integration and analysis, and more scalable cloud platforms. Source: Machine Learning Market – Global Forecast to 2022 – Market Overview & Industry Trends. Worldwide revenues for cognitive and artificial intelligence (AI) systems will increase from $12.5B in 2017 to more than $46B in 2020. 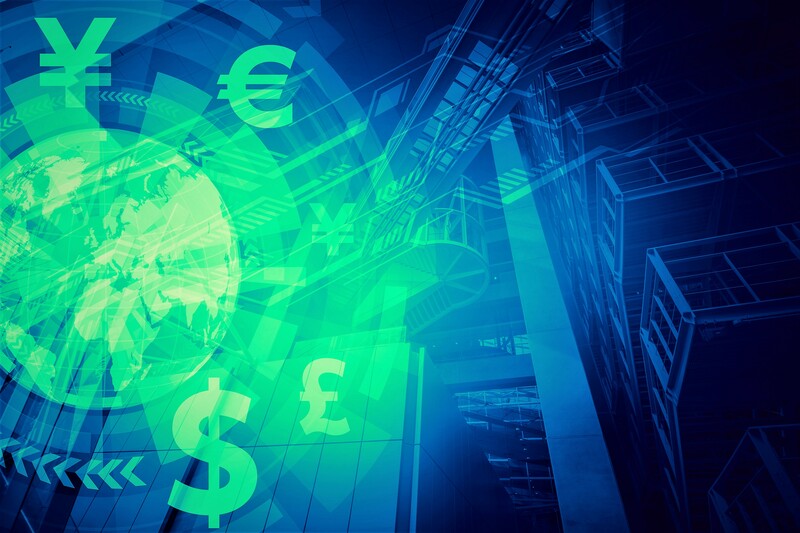 Source: Worldwide Spending on Cognitive and Artificial Intelligence Systems Forecast to Reach $12.5 Billion This Year, According to New IDC Spending Guide. Big Data and AI Strategies Machine Learning and Alternative Data Approach to Investing, J.P. Morgan. (280 pp., PDF. No opt-in). Google & MIT Technology Review study: Machine Learning: The New Proving Ground for Competitive Advantage (10 pp., PDF, no opt-in). Hitting the accelerator: the next generation of machine-learning chips, Deloitte. (6 pp., PDF, no opt-in). Machine Learning At Amazon, Amazon Web Services (47 pp., PDF no opt-in). The Build-Or-Buy Dilemma In AI, Boston Consulting Group. January 4, 2018. Digitally transforming enterprises (63%) is the leading factor driving greater public cloud engagement or adoption today. 66% of IT professionals say security is their most significant concern in adopting an enterprise cloud computing strategy. 50% of IT professionals believe artificial intelligence and machine learning are playing a role in cloud computing adoption today, growing to 67% by 2020. Artificial Intelligence (AI) and Machine Learning will be the leading catalyst driving greater cloud computing adoption by 2020. These insights and findings are from LogicMonitor’s Cloud Vision 2020: The Future of the Cloud Study (PDF, free, opt-in, 9 pp.). The survey is based on interviews with approximately 300 influencers LogicMonitor interviewed in November 2017. Respondents include Amazon Web Services AWS re:Invent 2017 attendees, industry analysts, media, consultants and vendor strategists. 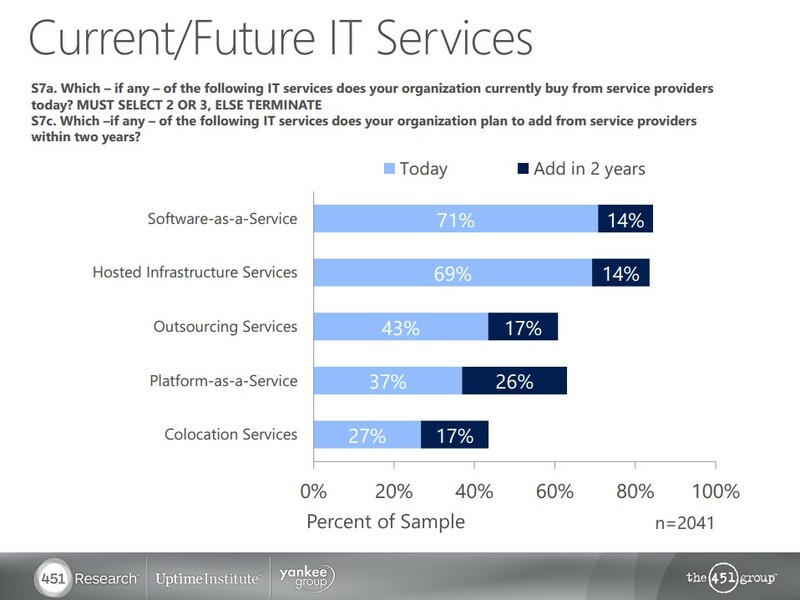 The study’s primary goal is to explore the landscape for cloud services in 2020. While the study’s findings are not statistically significant, they do provide a fascinating glimpse into current and future enterprise cloud computing strategies. 83% Of Enterprise Workloads Will Be In The Cloud By 2020. LogicMonitor’s survey is predicting that 41% of enterprise workloads will be run on public cloud platforms (Amazon AWS, Google Cloud Platform, IBM Cloud, Microsoft Azure and others) by 2020. An additional 20% are predicted to be private-cloud-based followed by another 22% running on hybrid cloud platforms by 2020. On-premise workloads are predicted to shrink from 37% today to 27% of all workloads by 2020. Digitally transforming enterprises (63%) is the leading factor driving greater public cloud engagement or adoption followed by the pursuit of IT agility (62%). LogicMonitor’s survey found that the many challenges enterprises face in digitally transforming their business models are the leading contributing factor to cloud computing adoption. Attaining IT agility (62%), excelling at DevOps (58%), mobility (55%), Artificial Intelligence (AI) and Machine Learning (50%) and the Internet of Things (IoT) adoption (45%) are the top six factors driving cloud adoption today. Artifical Intelligence (AI) and Machine Learning are predicted to be the leading factors driving greater cloud computing adoption by 2020. 66% of IT professionals say security is their greatest concern in adopting an enterprise cloud computing strategy. Cloud platform and service providers will go on a buying spree in 2018 to strengthen and harden their platforms in this area. Verizon (NYSE:VZ) acquiring Niddel this week is just the beginning. Niddel’s Magnet software is a machine learning-based threat-hunting system that will be integrated into Verizon’s enterprise-class cloud services and systems. Additional concerns include attaining governance and compliance goals on cloud-based platforms (60%), overcoming the challenges of having staff that lacks cloud experience (58%), Privacy (57%) and vendor lock-in (47%). Just 27% of respondents predict that by 2022, 95% of all workloads will run in the cloud. One in five respondents believes it will take ten years to reach that level of workload migration. 13% of respondents don’t see this level of workload shift ever occurring. Based on conversations with CIOs and CEOs in manufacturing and financial services industries there will be a mix of workloads between on-premise and cloud for the foreseeable future. C-level executives evaluate shifting workloads based on each systems’ contribution to new business models, cost, and revenue goals in addition to accelerating time-to-market. Microsoft Azure and Google Cloud Platform are predicted to gain market share versus Amazon AWS in the next three years, with AWS staying the clear market leader. The study found 42% of respondents are predicting Microsoft Azure will gain more market share by 2020. Google Cloud Platform is predicted to also gain ground according to 35% of the respondent base. AWS is predicted to extend its market dominance with 52% market share by 2020. 81% of IT leaders are currently investing in or planning to invest in Artificial Intelligence (AI). Cowen predicts AI will drive user productivity to materially higher levels, with Microsoft at the forefront. Digital Marketing/Marketing Automation, Salesforce Automation (CRM) and Data Analytics are the top three areas ripe for AI/ML adoption. According to angel.co, there are 2,200+ Artificial Intelligence start-ups, and well over 50% have emerged in just the last two years. Cowen sees Salesforce ($CRM), Adobe ($ADBE) and ServiceNow ($NOW) as well-positioned to deliver and monetize new AI-based application services. These and many other fascinating insights are from the Cowen and Company Multi-Sector Equity Research study, Artificial Intelligence: Entering A Golden Age For Data Science (142 pp., PDF, client access reqd). The study is based on interviews with 146 leading AI researchers, entrepreneurs and VC executives globally who are involved in the field of artificial intelligence and related technologies. Please see the Appendix of the study for a thorough overview of the methodology. This study isn’t representative of global AI, data engineering and machine learning (ML) adoption trends. It does, however, provide a glimpse into the current and future direction of AI, data engineering, and machine learning. Cowen finds the market is still nascent, with CIOs eager to invest in new AI-related initiatives. Time-to-market, customer messaging, product positioning and the value proposition of AI solutions will be critical factors for winning over new project investments. Digital Marketing/Marketing Automation, Salesforce Automation (CRM) and Data Analytics are the top three areas ripe for AI/ML adoption. Customer self-service, Enterprise Resource Planning (ERP), Human Resource Management (HRM) and E-Commerce are additional areas that have upside potential for AI/ML adoption. The following graphic provides an overview of the areas in software that Cowen found the greater potential for AI/ML investment. 81% of IT leaders are currently investing in or planning to invest in Artificial Intelligence (AI). Based on the study, CIOs have a new mandate to integrate AI into IT technology stacks. The study found that 43% are evaluating and doing a Proof of Concept (POC) and 38% are already live and planning to invest more. The following graphic provides an overview of company readiness for machine learning and AI projects. Market forecasts vary, but all consistently predict explosive growth. IDC predicts that the Cognitive Systems and AI market (including hardware & services) will grow from $8B in 2016 to $47B in 2020, attaining a Compound Annual Growth Rate (CAGR) of 55%. This forecast includes $18B in software applications, $5B in software platforms, and $24B in services and hardware. IBM claims that Cognitive Computing is a $2T market, including $200B in healthcare/life sciences alone. Tractica forecasts direct and indirect applications of AI software to grow from $1.4B in 2016 to $59.8B by 2025, a 52% CAGR. According to CBInsights, the number of financing transactions to AI start-ups increased 10x over the last six years, from 67 in 2011 to 698 in 2016. Accenture states that the total number of AI start-ups has increased 20-fold since 2011. The top verticals include FinTech, Healthcare, Transportation and Retail/e-Commerce. The following graphic provides an overview of the AI annual funding history from 2011 to 2016. Algorithmic trading, image recognition/tagging, and patient data processing are predicted to the b top AI uses cases by 2025. Tractica forecasts predictive maintenance and content distribution on social media will be the fourth and fifth highest revenue producing AI uses cases over the next eight years. The following graphic compares the top 10 uses cases by projected global revenue. Machine Learning is predicted to generate the most revenue and is attracting the most venture capital investment in all areas of AI. Venture Scanner found that ML raised $3.5B to date (from 400+ companies), far ahead of the next category, Natural Language Processing, which has seen just over $1Bn raised to date (from 200+ companies). Venture Scanner believes that Machine Learning Applications and Machine Learning Platforms are two relatively early stage markets that stand to have some of the greatest market disruptions. Cowen predicts that an Intelligent App Stack will gain rapid adoption in enterprises as IT departments shift from system-of-record to system-of-intelligence apps, platforms, and priorities. The future of enterprise software is being defined by increasingly intelligent applications today, and this will accelerate in the future. Cowen predicts it will be commonplace for enterprise apps to have machine learning algorithms that can provide predictive insights across a broad base of scenarios encompassing a company’s entire value chain. The potential exists for enterprise apps to change selling and buying behavior, tailoring specific responses based on real-time data to optimize discounting, pricing, proposal and quoting decisions. According to angel.co, there are 2,200+ Artificial Intelligence start-ups, and well over 50% have emerged in just the last two years. Machine Learning-based Applications and Deep Learning Neural Networks are experiencing the largest and widest amount of investment attention in the enterprise. Accenture leverages machine learning in 40% of active Analytics engagements, and nearly 80% of proposed Analytics opportunities today. Cowen found that Accenture’s view is that they are in the early stages of AI technology adoption with their enterprise clients. Accenture sees the AI market growing exponentially, reaching $400B in spending by 2020. Their customers have moved on from piloting and testing AI to reinventing their business strategies and models. The more integrated the systems are supporting any selling strategy, the greater the chances sales will increase. That’s because accuracy, speed, and quality of every quote matter more than ever. Being able to strengthen every customer interaction with insight and intelligence often means the difference between successful upsells, cross-sells and the chance to bid and win new projects. Defining a roadmap to enrich selling strategies using SAP integration is delivering results across a variety of manufacturing and service industries today. Getting more value out of the customer data locked in legacy SAP systems can improve selling results starting with existing sales cycles. Knowing what each customer purchased, when, at what price, and for which project or location is invaluable in accelerating sales cycles today. 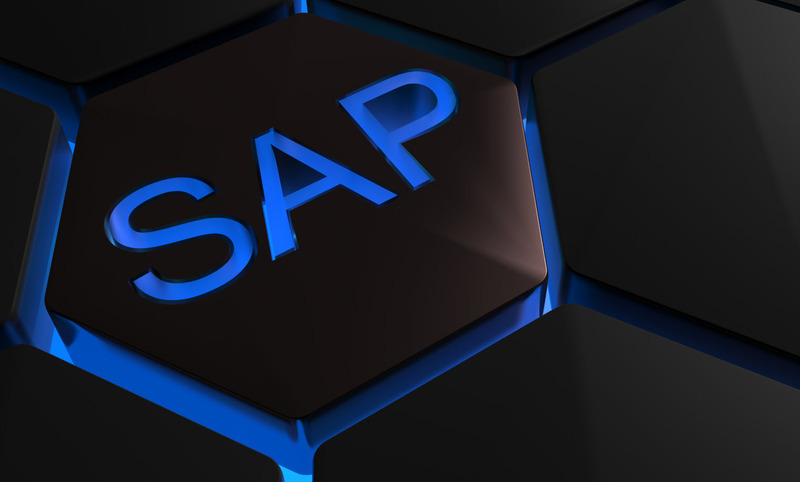 There are many ways to improve selling results using SAP integration, and the following are the top three based on conversations with SAP Architects, CIOs and IT Directors working with Sales Operations to improve selling results. These five approaches are generating more leads, closing more deals, leading to better selling decisions and improving sales productivity. Reducing and eliminating significant gaps in the Configure-Price-Quote (CPQ) process by integrating Salesforce and SAP systems improves selling and revenue results quickly. The following two illustrations compare how much time and revenue escape from the selling process. It’s common to see companies lose at least 20% of their orders when they rely on manual approaches to handling quotes, pricing, and configurations. The greater the complexity of the deal is the more potential for lost revenue. The second graphic shows how greater system integration leads to lower costs to complete an order, cycle time reductions, order rework reductions, and lead times for entire orders dropping from 69 to 22 days. Having customer order history, pricing, discounts and previously purchased bundles stored in SAP ERP systems integrated into Salesforce will drive better decisions on which customers are most likely to buy upsells, cross-sells and new products when. Instead of having just to rely on current activity with a given customer, sales teams can analyze sales history to find potential purchasing trends and indications of who can sign off on deals in progress. Having real-time access to SAP data within Salesforce gives sales teams the most valuable competitive advantage there is, which is more time to focus on customers and closing deals. enosiX is taking a leadership role in the area of real-time SAP to Salesforce integration, enabling enterprises to sell and operate more effectively. Improving Sales Operations and Customer Service productivity by providing customer data in real-time via Salesforce to support teams on a 24/7 basis worldwide. The two departments who rely on customer data more than sales need to have real-time access to customer data on a 24/7 basis from any device at any time, on a global scale. By integrating customer data held today in SAP ERP and related systems to Salesforce, Sales Operations, and Customer Service will have the visibility they’ve never had before. 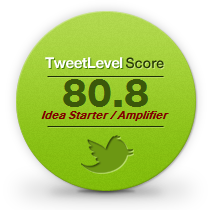 And that will translate into faster response times, higher customer satisfaction and potentially more sales too. Bottom line: Machine learning is providing the needed algorithms, applications, and frameworks to bring greater predictive accuracy and value to enterprises’ data, leading to diverse company-wide strategies succeeding faster and more profitably than before. The good news for businesses is that all the data they have been saving for years can now be turned into a competitive advantage and lead to strategic goals being accomplished. Revenue teams are using machine learning to optimize promotions, compensation and rebates drive the desired behavior across selling channels. Predicting propensity to buy across all channels, making personalized recommendations to customers, forecasting long-term customer loyalty and anticipating potential credit risks of suppliers and buyers are Figure 1 provides an overview of machine learning applications by industry. 76% say they are targeting higher sales growth with machine learning. Gaining greater predictive accuracy by creating and optimizing propensity models to guide up-sell and cross-sell is where machine learning is making contributions to omnichannel selling strategies today. At least 40% of companies surveyed are already using machine learning to improve sales and marketing performance. Two out of five companies have already implemented machine learning in sales and marketing. 38% credited machine learning for improvements in sales performance metrics. Metrics the study tracked include new leads, upsells, and sales cycle times by a factor of 2 or more while another 41% created improvements by a factor of 5 or more. Several European banks are increasing new product sales by 10% while reducing churn 20%. A recent McKinsey study found that a dozen European banks are replacing statistical modeling techniques with machine learning. The banks are also increasing customer satisfaction scores and customer lifetime value as well. Machine learning’s ability to scale across the broad spectrum of contract management, customer service, finance, legal, sales, quote-to-cash, quality, pricing and production challenges enterprises face is attributable to its ability to continually learn and improve. Machine learning algorithms are iterative in nature, continually learning and seeking to optimize outcomes. Every time a miscalculation is made, machine learning algorithms correct the error and begin another iteration of the data analysis. These calculations happen in milliseconds which makes machine learning exceptionally efficient at optimizing decisions and predicting outcomes. The economics of cloud computing, cloud storage, the proliferation of sensors driving Internet of Things (IoT) connected devices growth, pervasive use of mobile devices that consume gigabytes of data in minutes are a few of the several factors accelerating machine learning adoption. Add to these the many challenges of creating context in search engines and the complicated problems companies face in optimizing operations while predicting most likely outcomes, and the perfect conditions exist for machine learning to proliferate. Exponential data growth with unstructured data being over 80% of the data an enterprise relies on to make decisions daily. Demand forecasts, CRM and ERP transaction data, transportation costs, barcode and inventory management data, historical pricing, service and support costs and accounting standard costing are just a few of the many sources of structured data enterprises make decisions with today. The exponential growth of unstructured data that includes social media, e-mail records, call logs, customer service and support records, Internet of Things sensing data, competitor and partner pricing and supply chain tracking data frequently has predictive patterns enterprises are completely missing out on today. Enterprises looking to become competitive leaders are going after the insights in these unstructured data sources and turning them into a competitive advantage with machine learning. 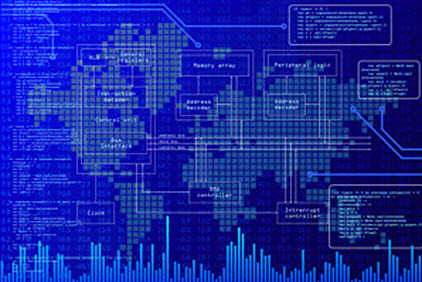 The Internet of Things (IoT) networks, embedded systems and devices are generating real-time data that is ideal for further optimizing supply chain networks and increasing demand forecast predictive As IoT platforms, systems, applications and sensors permeate value chains of businesses globally, there is an exponential growth of data generated. The availability and intrinsic value of these large-scale datasets are an impetus further driving machine learning adoption. Generating massive data sets through synthetic means including extrapolation and projection of existing historical data to create realistic simulated data. From weather forecasting to optimizing a supply chain network using advanced simulation techniques that generate terabytes of data, the ability to fine-tune forecasts and attain greater optimizing is also driving machine learning adoption. 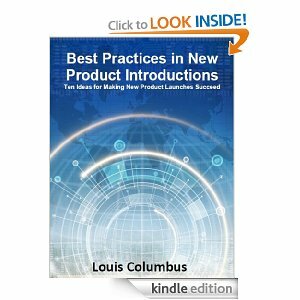 Simulated data sets of product launch and selling strategies is a nascent application today and one that shows promise in developing propensity models that predict purchase levels. The economics of digital storage and cloud computing are combining to put infrastructure costs into freefall, making machine learning more affordable for all businesses. Online storage and public cloud instances can be purchased literally in minutes online with a credit card. Migrating legacy data off of databases where their accessibility is limited compared to cloud platforms is becoming more commonplace as greatest trust in secure cloud storage increases. For many small businesses who lack IT departments, the Cloud provides a scalable, secure platform for managing their data across diverse geographic locations. Domingos, P. (2012). A Few Useful Things to Know About Machine Learning. Communications Of The ACM, 55(10), 78-87. Sales Gets A Machine-Learning Makeover. MIT Sloan Management Review, May 17, 2016. H. James Wilson, Narendra Mulani, Allan Alter. Source: http://sloanreview.mit.edu/article/sales-gets-a-machine-learning-makeover/Sebag, M. (2014). Orchestrating big data, cloud and mobility strategies leads to 53% greater growth than peers not adopting these technologies. 73% of midmarket companies say the complexity of their stored data requires big data analytics apps and tools to better gain insights from. 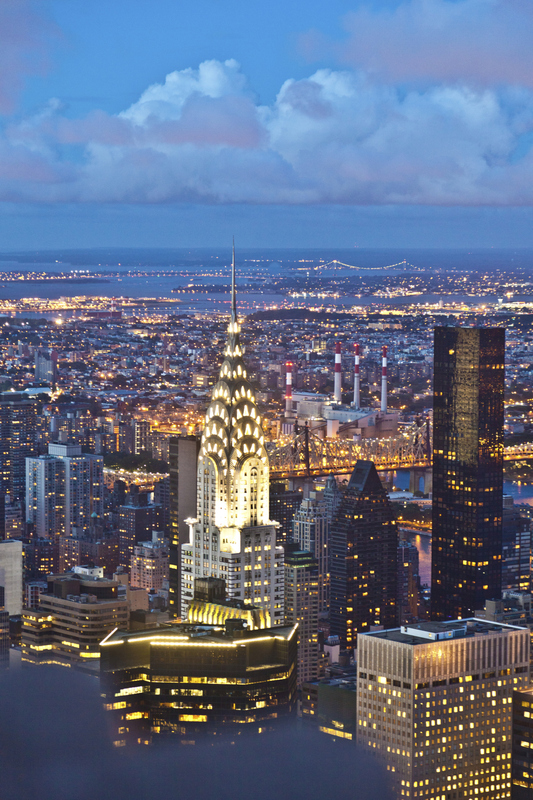 41% of midmarket companies are using big data to better target marketing efforts. 54% of midmarket companies’ security budgets are invested in security plans versus reacting to threats. These and many other insights are from Dell’s second annual Global Technology Adoption Index (GTAI 2015) released last week in collaboration with TNS Research. The Global Technology Adoption Index surveyed IT and business decision makers of mid-market organizations across 11 countries, interviewing 2,900 IT and business decision makers representing businesses with 100 to 4,999 employees. The purpose of the index is to understand how business users perceive, plan for and utilize four key technologies: cloud, mobility, security and big data. Dell released the first wave of its results this week and will be publishing several additional chapters throughout 2016. You can download Chapter 1 of the study here (PDF, no opt-in, 18 pp.). Orchestrating big data, cloud and mobility strategies leads to 53% greater growth than peers not adopting these technologies. Midmarket organizations adopting big data alone have the potential to grow 50% more than comparable organizations. Effective use of Bring Your Own Device (BYOD) mobility strategies has the potential to increase growth by 53% over laggards or late adopters..
73% of North American organizations believe the volume and complexity of their data requires big data analytics apps and tools. This is up from 54% in 2014, indicating midmarket organizations are concentrating on how to get more value from the massive data stores many have accumulated. This same group of organizations believe they are getting more value out of big data this year (69%) compared to last year (64%). Top outcomes of using big data include better targeting of marketing efforts (41%), optimization of ad spending (37%), and optimization of social media marketing (37%). 54% of an organization’s security budget is invested in security plans versus reacting to threats. Dell & TNS Research discovered that midmarket organizations both in North America and Western Europe are relying on security to enable new devices or drive competitive advantage. In North America, taking a more strategic approach to security has increased from 25% in 2014 to 35% today. In Western Europe, the percentage of companies taking a more strategic view of security has increased from 26% in 2014 to 30% this year. IT infrastructure costs to support big data initiatives (29%) and costs related to securing the data (28%) are the two greatest barriers to big data adoption. For cloud adoption, costs and security are the two biggest barriers in midmarket organizations as is shown in the graphic below. Cloud use by midmarket companies in France increased 12% in the last twelve months, leading all nations in the survey. Of the 11 countries surveyed, France had the greatest increase in cloud adoption within midmarket companies. French businesses increased their adoption of cloud applications and platforms from 70% in 2014 to 82% in 2015. Global SaaS software revenues are forecasted to reach $106B in 2016, increasing 21% over projected 2015 spending levels. A Goldman Sachs study published earlier this year projects that spending on cloud computing infrastructure and platforms will grow at a 30% CAGR from 2013 through 2018 compared with 5% growth for the overall enterprise IT. Centaur Partners and other firms mentioned in this roundup are seeing more enterprise-size deals for cloud computing infrastructure and applications. While each of these consultancies and research firms have varying forecasts for the next few years, all agree that cloud computing adoption is accelerating in enterprises on a global scale. By 2018, 59% of the total cloud workloads will be Software-as-a-Service (SaaS) workloads, up from 41% in 2013. Cisco is predicting that by 2018, 28% of the total cloud workloads will be Infrastructure-as-a-Service (IaaS) workloads down from 44% in 2013. 13% of the total cloud workloads will be Platform-as-a-Service (PaaS) workloads in 2018, down from 15% in 2013. The following graphic provides a comparative analysis of IaaS, PaaS and SaaS forecasts from 2013 to 2018. Source: Cisco Global Cloud Index: Forecast and Methodology, 2013–2018. 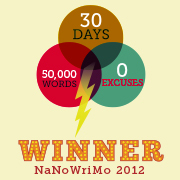 (PDF, free, no opt-in). Centaur Partners’ analysis of SaaS & cloud-based business application services revenue forecasts the market growing from $13.5B in 2011 to $32.8B in 2016, attaining a 19.5% CAGR. Centaur provides a useful overview of current market conditions including M&A activity in their latest market overview published this month, Introduction to Centaur Partners: SaaS Market Overview, (PDF, free, no opt-in). 42% of IT decision makers are planning to increase spending on cloud computing in 2015, with the greatest growth in enterprises with over 1,000 employees (52%). The top five tech spending increases in 2015 are shown in the following graphic. 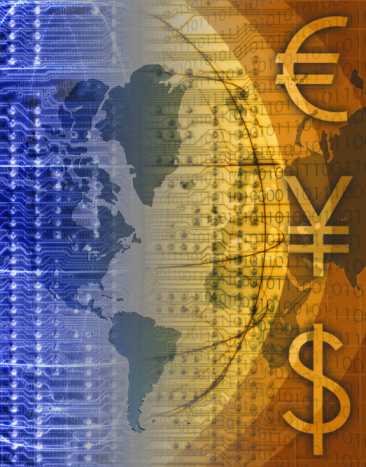 Source: Computerworld’s 2015 Forecast Predicts Security, Cloud Computing And Analytics Will Lead IT Spending. Global SaaS software revenues are forecasted to reach $106B in 2016, increasing 21% over projected 2015 spending levels. Spending on integration, storage management, and database management systems are projected to experience the greatest growth in 2015. These and other key insights are from Forrester’s SaaS software subscription revenue by category show below. Source: Enterprise software spend to reach $620 billion in 2015: Forrester. $78.43B in SaaS revenue will be generated in 2015, increasing to $132.57 in 2020, attaining a compound annual growth rate (CAGR) of 9.14%. The following graphic and table provides an overview of Forrester’s Global Public Cloud Computing market size analysis and forecast for the years 2011 to 2020. Source: Institut Sage. Spending on cloud computing infrastructure and platforms is expected to grow at a 30% CAGR from 2013 through 2018 compared with 5% growth for the overall enterprise IT. Goldman Sachs estimates that Amazon has taken in $4B in revenue, or 26% of the IaaS and PaaS markets, in the past 12 months. These and other insights and the graphics below are from an analysis of the recent Goldman Sachs cloud computing report. Thank you Michael Coté, Research Director, Infrastructure Software at 451 Research for freely sharing your latest presentation, Cloud State of the Union, 2015. Additional interesting links regarding Goldman Sachs’ recent cloud computing study include Battle Of Cloud Titans Has Just Begun, Goldman Says and Red Hat: Goldman Cuts to Sell Amidst Bullish Cloud View. Security (36%), cloud computing (31%) and mobile devices (28%) are the top 3 initiatives IT executives are planning to have their organizations focus on over the next 12 months. Source: 2015 State of the Network Study, Technology Adoption Trends & Their Impact on the Network (free PDF, no opt in). A summary of the study can be found here: State of the Network 2015. IDC predicts that by 2016, there will be an 11% shift of IT budget away from traditional in-house IT delivery, toward various versions of cloud computing as a new delivery model. By 2017, 35% of new applications will use cloud-enabled, continuous delivery and enabled by faster DevOps life cycles to streamline rollout of new features and business innovation. Source: 2015-2017 Forecast: Cloud Computing to Skyrocket, Rule IT Delivery. By 2018, IDC forecasts that public cloud spending will more than double to $127.5 billion. This forecast is broken down as follows: $82.7 billion in SaaS spending, $24.6 billion for IaaS and $20.3 billion in PaaS expenditures. Source: Forecasts Call For Cloud Burst Through 2018. 27.8% of the worldwide enterprise applications market will be SaaS-based, generating $50.8B in revenue up from $22.6B or 16.6% of the market in 2013. IDC also estimates the overall enterprise applications market in 2013 was $135.9B. 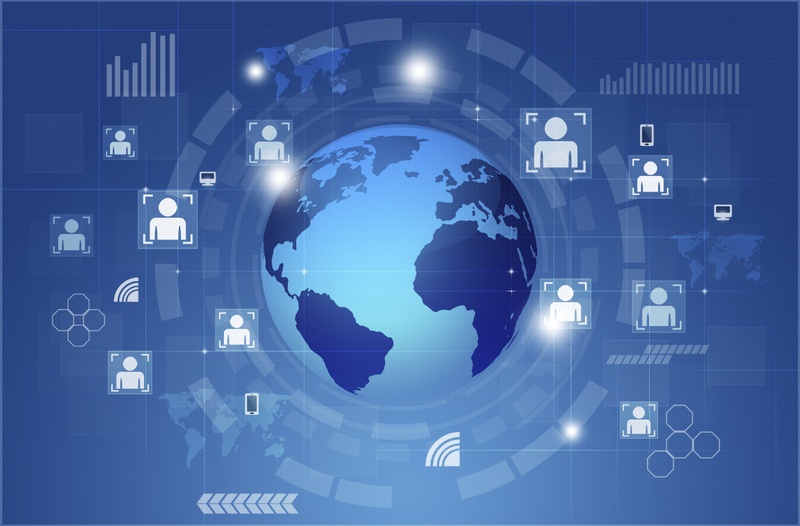 Source: IDC Predicts SaaS Enterprise Applications Will Be A $50.8B Market By 2018. By 2016 over 80% of enterprises globally will using IaaS, with investments in private cloud computing showing the greater growth. 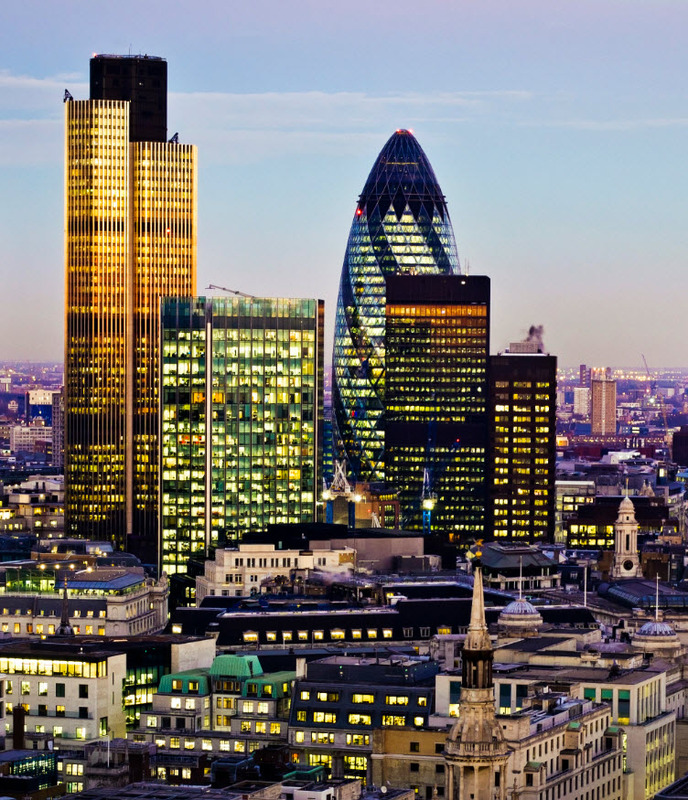 Ovum forecasts that by 2016, 75% of EMEA-based enterprises will be using IaaS. These and other insights are from the presentation, The Role of Cloud in IT Modernisation: The DevOps Challenge (free PDF, no opt in). The graphic below provides an analysis of cloud computing adoption in EMEA and globally. 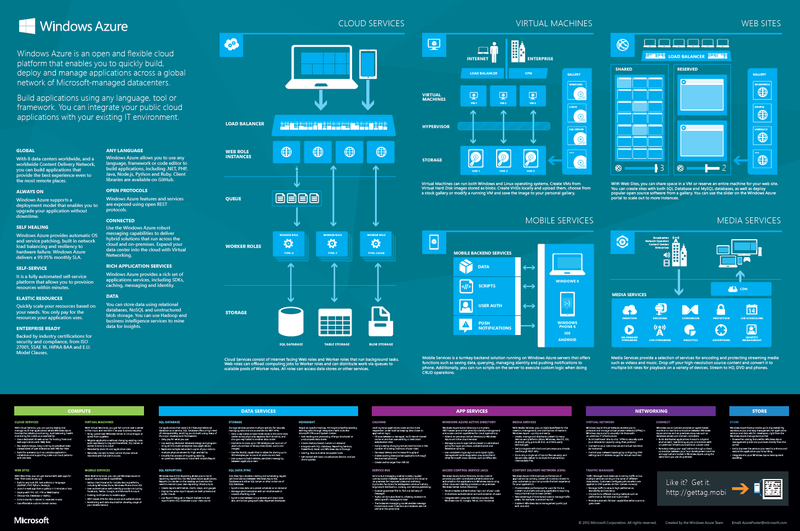 Microsoft’s commercial cloud revenue grew 128% in Q3, 2014, while server products and services revenue increased 13%. Source: 2015 Forecast: The Sun is Out for Cloud Computing. The SaaS Supply Chain Management (SCM) market is predicted to a $4.4B market by 2018, attaining a 19% CAGR from 2014 to 2018. The following graphic from a recent Accenture study is shown below. Source: Supply Chain Management in the Cloud: How can cloud-based computing make supply chains more competitive? Enterprise cloud subscription revenues are forecast to reach $67B by 2018, attaining a CAGR of 17.3% in the forecast period. This and other forecasts on cloud computing adoption are provided in the Apps Run The Cloud downloadable report World’s Cloud Top 500 Applications Vendors: Worldwide Cloud Applications Market Forecast 2014-2018 (free PDF, no opt-in). For a breakout of forecast categories and projected spending please see the blog post Worldwide Cloud Applications Market Forecast 2014-2018. By 2018, more than 60% of enterprises will have at least half of their infrastructure on cloud-based platforms. These and other are insights are from the keynote Cloud Business Summit presentation Digital Business, Rethinking Fundamentals by Bill McNee, Founder and CEO, Saugatuck Technology. Source: Digital Business, Rethinking Fundamentals. From manufacturers looking to gain greater insights into streamlining production, reducing time-to-market and increasing product quality to financial services firms seeking to upsell clients, analytics is now essential for any business looking to stay competitive. Marketing is going through its own transformation, away from traditional tactics to analytics- and data-driven strategies that deliver measurable results. Analytics and the insights they deliver are changing competitive dynamics daily by delivering greater acuity and focus. 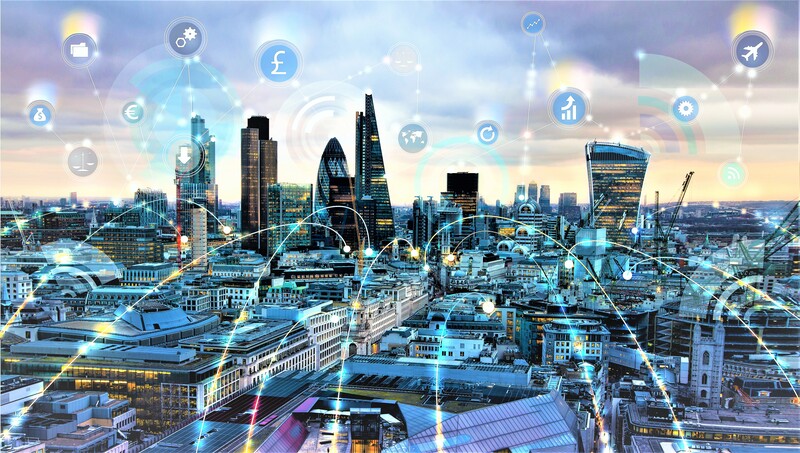 The high level of interest and hype surrounding analytics, Big Data and business intelligence (BI) is leading to a proliferation of market projections and forecasts, each providing a different perspective of these markets. A.T. Kearney forecasts global spending on Big Data hardware, software and services will grow at a CAGR of 30% through 2018, reaching a total market size of $114B. 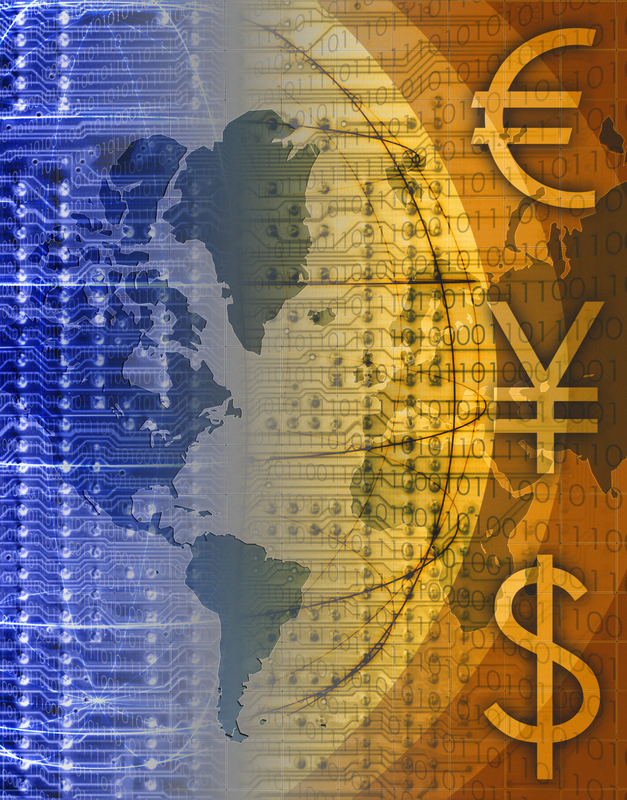 The average business expects to spend $8M on big data-related initiatives this year. Source: Beyond Big: The Analytically Powered Organization. Cloud-based Business Intelligence (BI) is projected to grow from $.75B in 2013 to $2.94B in 2018, attaining a CAGR of 31%. Redwood Capital’s recent Sector Report on Business Intelligence (free, no opt in) provides a thorough analysis of the current and future direction of BI. Redwood Capital segments the BI market into traditional, mobile, cloud and social business intelligence. The following two charts from the Sector Report on Business Intelligence illustrate how Redwood Capital sees the progression of the BI market through 2018. Enterprises getting the most value out of analytics and BI have leaders that concentrate more on collaboration, instilling confidence in their teams, and creating an active analytics community, while laggards focus on technology alone. A.T. Kearney and Carnegie Mellon University recently surveyed 430 companies around the world, representing a wide range of geographies and industries, for the inaugural Leadership Excellence in Analytic Practices (LEAP) study. You can find the study here. The following is a graphic from the study comparing the characteristics of leaders and laggards’ strategies for building a culture of analytics excellence. Big Data is projected to be a $28.5B market in 2014, growing to $50.1B in 2015 according to Wikkbon. Their report, Big Data Vendor Revenue and Market Forecast 2013-2017 is outstanding in its accuracy and depth of analysis. The following is a graphic from the study, illustrating Wikibon’s Big Data market forecast broken down by market component through 2017. SAP, IBM, SAS, Microsoft, Oracle, Information Builders, MicroStrategy, and Actuate are market leaders in BI according to Forrester’s latest Wave analysis of BI platforms. Their report, The Forrester Wave™: Enterprise Business Intelligence Platforms, Q4 2013 (free PDF, no opt in, courtesy of SAS) provides a thorough analysis of 11 different BI software providers using the research firm’s 72-criteria evaluation methodology. Amazon Web Services, Cloudera, Hortonworks, IBM, MapR Technologies, Pivotal Software, and Teradata are Big Data Hadoop market leaders according to Forrester’s latest Wave analysis of Hadoop Solutions. Their report, The Forrester Wave™: Big Data Hadoop Solutions, Q1 2014 (free PDF, no opt in, courtesy of MapR Technologies) provides a thorough analysis of nine different Big Data Hadoop software providers using the research firm’s 32-criteria evaluation methodology. Global Big Data technology and services revenue will grow from $14.26B in 2014 to $23.76B in 2016, attaining a compound annual growth rate of 18.55%. These figures and a complete market analysis are available in IDC’s Worldwide Big Data Technology and Services 2012 – 2016 Forecast. You can download the full report here (free, no opt-in): Worldwide Big Data Technology and Services 2012 – 2016 Forecast. Big Data technology and services will grow from $1.95B in 2013 to $9.83B in 2020, attaining a CAGR of 26%. These and other market forecasts and projections are in a report Huawei sponsored titled Big Data & Advanced Analytics in Telecom: A Multi-Billion-Dollar Revenue Opportunity. A chart from the study is shown below that shows Big Data analytics market size by business category. Financial Services firms are projected to spend $6.4B in Big Data-related hardware, software and services in 2015, growing at a CAGR of 22% through 2020. Software and internet-related companies are projected to spend $2.8B in 2015, growing at a CAGR of 26% through 2020. These and other market forecasts and projections can be found in Bain & Company’s Insights Analysis, Big Data: The Organizational Challenge. An infographic of their research results are shown below. The World Economic Forum, INSEAD and Cornell University published The Global Information Technology Report 2014 Rewards and Risks of Big Data (369 pp., free, no opt-in), providing a thorough global analysis of technology trends. This book provides a thorough overview of the Networked Readiness Index and in-depth analysis by national ICT adoption levels. One of the more valuable sections is on Big Data adoption, with a summarized analysis presented below. You can download the entire book in PDF form here. Just over $4B was invested in software deals by venture capitalists (VCs) during Q1, 2014, four times as much as biotechnology. 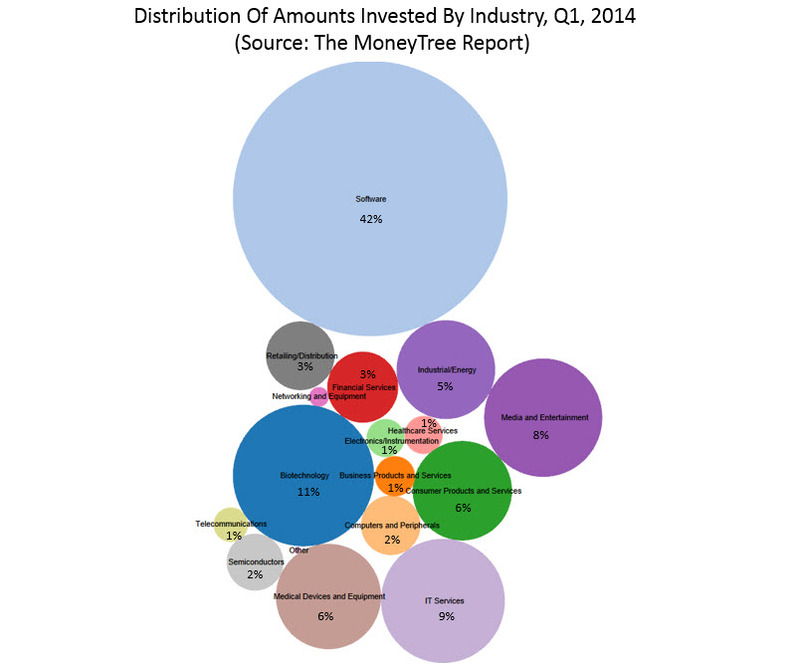 Software deals netted out 42% of all dollars invested in the first quarter of 2014, with biotechnology receiving 11%. VCs invested $816M in IT Services or 9% of all dollars, making this the third largest investment category. Interest in IT Services continues to accelerate, with dollars invested in this category increasing 33% compared to the prior quarter. These findings are from the latest edition of The MoneyTree Report, a quarterly study of venture capital investment in the United States produced by PricewaterhouseCoopers and the National Venture Capital Association (NVCA) using Thomson Reuters data. You can find the full data sets of the study here in Microsoft Excel format. The MoneyTree Report Q4 2013/ Full-year 2013 is also available in PDF form here and there is no opt-in to download it. A total of $9.5B in 951 deals was invested in the first quarter of this year, up 12% in dollars and down 14% in the number of deals compared to the 4th quarter of 2013. In the previous quarter, a total of $8.4B was invested in 1,112 deals. In 2013, $11B (37%) of all venture investments were in software, $4.6B (16%) in biotechnology and $2.96B (10%) were in Media and Entertainment. 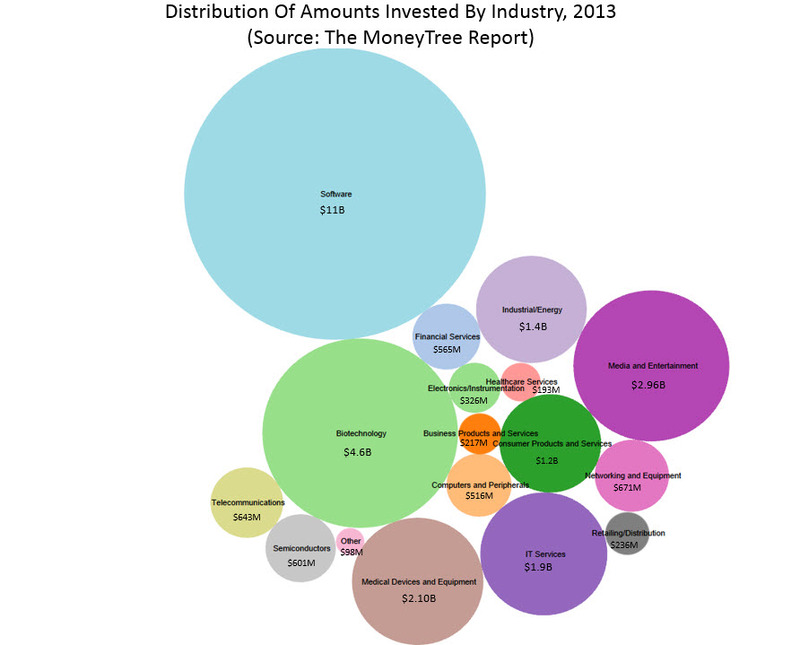 The following graphic shows the distribution of amounts invested by industry in 2013. Please click on the graphic to expand for easier reading. In the first quarter of 2014, software companies also received three times the number of deals of the next closest industry category, Media & Entertainment. 46% or 126 software deals were completed in Q1, compared to 40 in Media & Entertainment. Biotechnology companies were third with 8% or 22 deals. The following graphic provides a comparison of deals by industry for Q1, 2014. Please click on the graphic to expand it for easier reading. 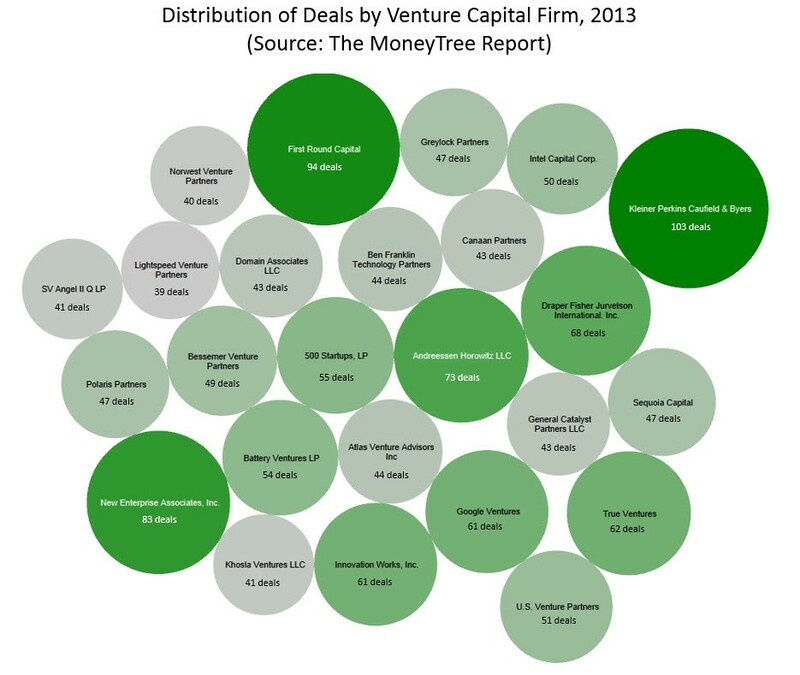 Kleiner Perkins Caufield & Byers, First Round Capital, New Enterprise Associates, Inc. and Andreessen Horowitz LLC completed the most venture capital deals in 2013, as the graphic below shows. Please click on the graphic to expand for easier reading. Software’s dominance in Q1, 2014 relative to other industries is evident in the following graphic, showing 42% of dollars invested followed by biotechnology (11%) and IT Services (9%). 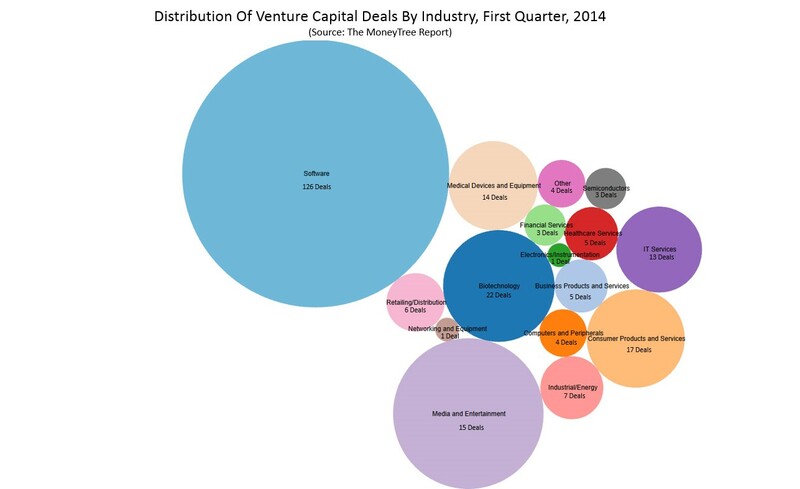 The study data shows nine of the 17 industries are shrinking it terms of venture investments. Telecommunications is down 68%, Networking and Equipment down 47% and semiconductors, down 17%. Please click on the graphic to expand it for easier reading. Overall first-time financing decreased 25% to $1.2B in Q1, with a corresponding 24% drop in the number of companies to 271. 48% of dollars invested during Q1 into companies receiving venture capital for the first time are in the software industry. 46% of the deals to 126 companies who captured $571M in Q1 lead to this industry dominating first sequencing investments. Top regions where startups received funding in Q1 include Silicon Valley (50% of all VC funding), New England (11%) and the New York Metro Area (10%). The Los Angeles/Orange County area was fourth with 5% of all venture funding in Q1, 2014. 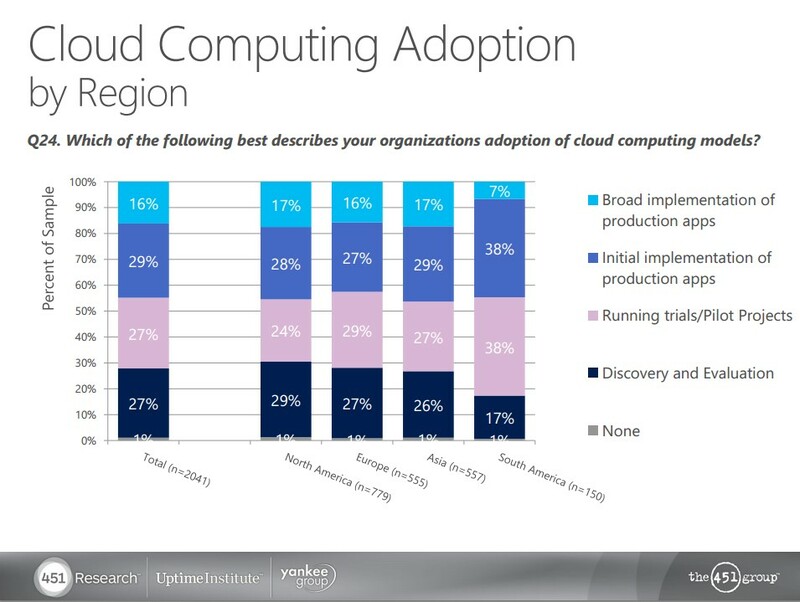 Microsoft’s latest study shows enterprises’ pace of cloud computing adoption continues to accelerate. 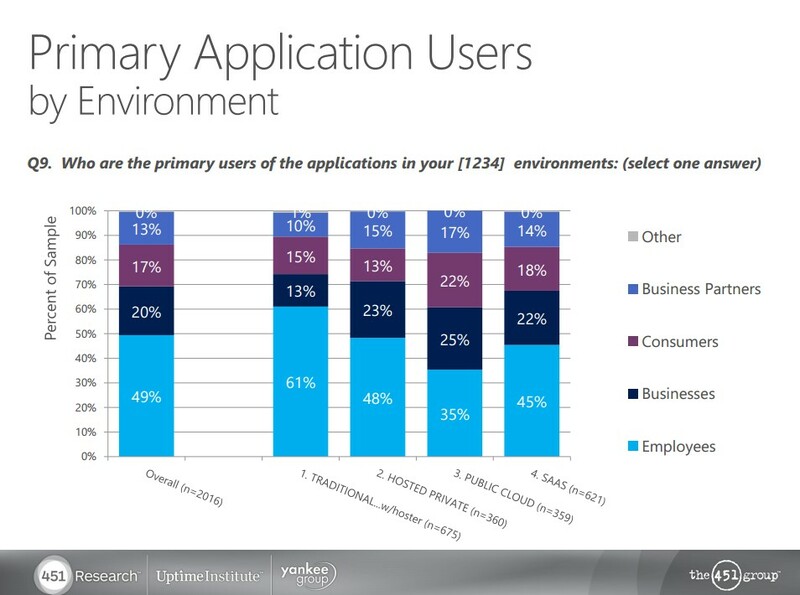 Nearly half of the respondents (45%) report they have cloud-based applications running in production environments. 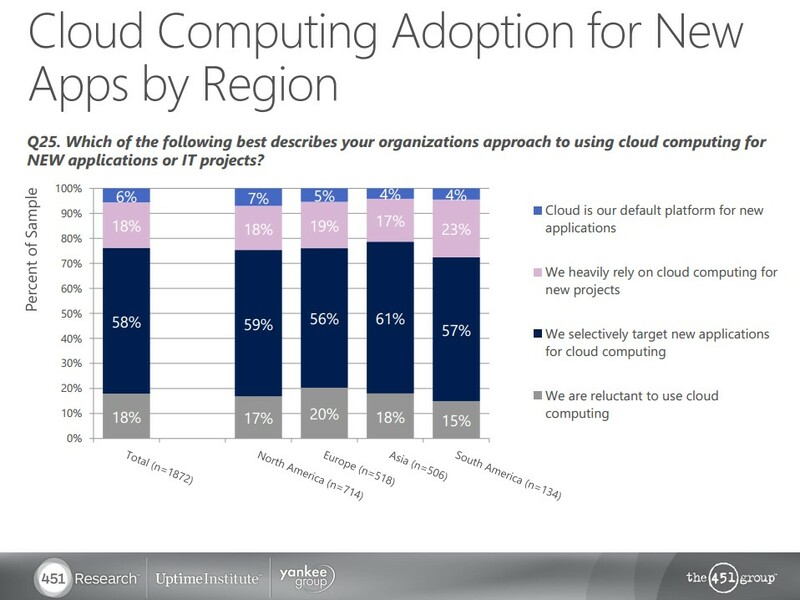 58% report that they selectively target new applications and projects for cloud computing. Microsoft commissioned 451 Research to complete one of the most comprehensive global surveys to date of hosting and cloud computing, titled Hosting and Cloud Go Mainstream releasing the results earlier this month. The 74 page slide deck of results provides a wealth of insights into the current and future state of hosting and cloud computing. 451 Research constructed the methodology to include interviews with 2,000 companies and organizations of all sizes from 11 countries, with more than a third of respondents coming from the United States. Microsoft and 451 Research provided the slides showing the result of screener questions, which provides a useful context for analyzing the survey results. 45% of enterprises globally are running production-level cloud computing applications today. North America and Asia have the greatest percentage of enterprises reporting broad implementation of production cloud-based applications (17% each). North America has the greatest percentage of enterprises in the discovery and evaluation phase of cloud computing adoption at 29%. 58% of global enterprises are selectively target new applications for cloud computing, with 18% heavily relying on cloud computing for new projects. The following graphic shows the distribution of organizations’’ approaches to using cloud computing for new applications or IT projects. SaaS (71%) and Hosted Infrastructure Services (69%) are the two most common IT services currently purchased today, with 14% growth forecasted in each by 2016. The fastest growing category is Platform-as-a-Service (PaaS), with 37% purchasing these services today projected to grow another 26% in two years. SaaS is most prevalent in enterprises with over 500 employees, and Hosted Infrastructure Services, in government and education. 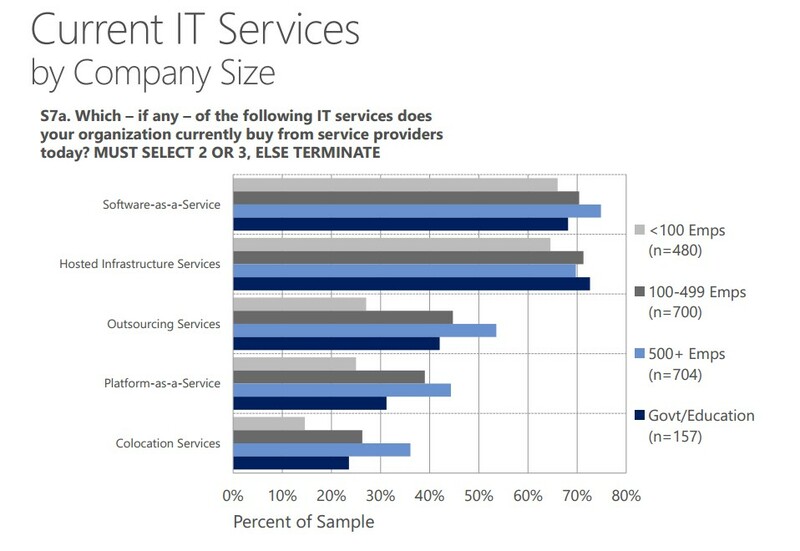 Please see the graphic below for the distribution of responses by IT service and organization type. Spending on hosted private clouds will increase from 28% of spending today to 32% in 2016, with traditional dedicated infrastructure services dropping from 48% to 42%. The majority of SaaS users are employees (45%) followed by businesses (which could be interpreted as suppliers and the broader supply chain) (22%), consumers (18%) and business partners (including distribution channels (14%). 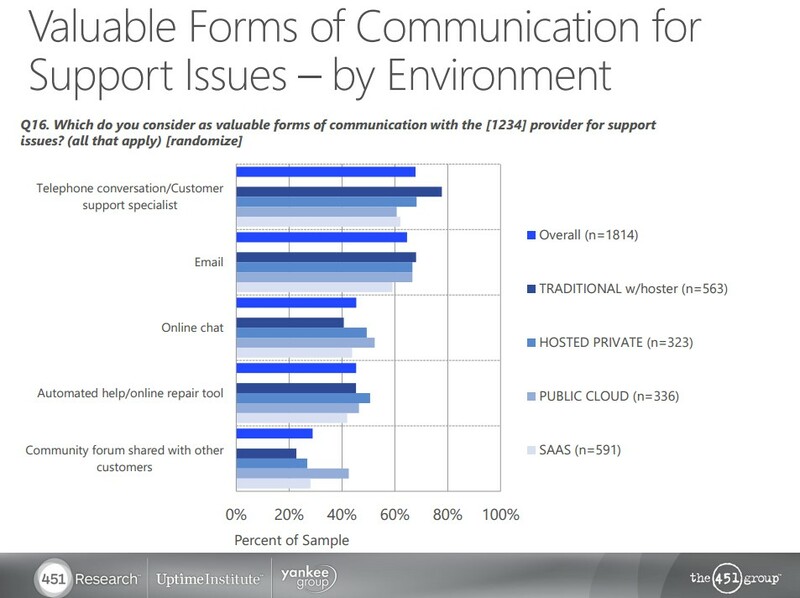 Telephone conversations with customer support specialists is the most valuable form of communication (just over 60%) across all support channels. It is also the most preferred channel for SaaS support. Business applications (17%), databases (14%) and e-mail 12%) are the top three application spending categories today in hosted and cloud applications. 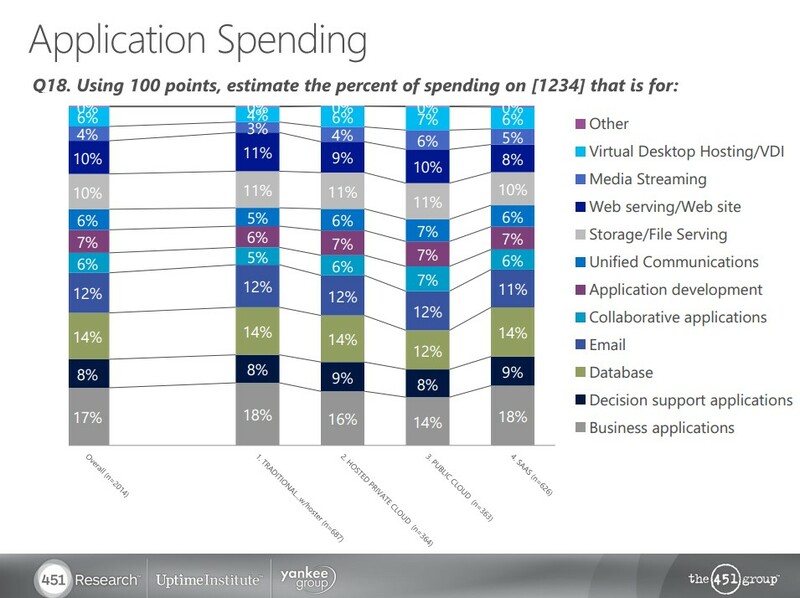 The following graphic breaks out spending by hosting and cloud configuration. 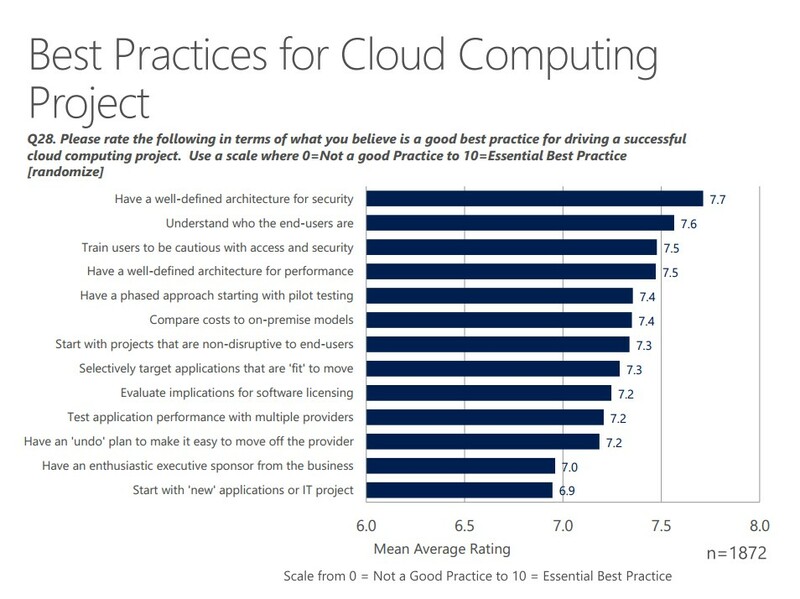 Having a well-defined architecture for security (7.7 out of 8.0), understanding who the end-users are (7.6) and train users to be cautious with access & security (7.5) in addition to having a well-defined architecture for performance (7.5) are the three top best practices for cloud computing projects. 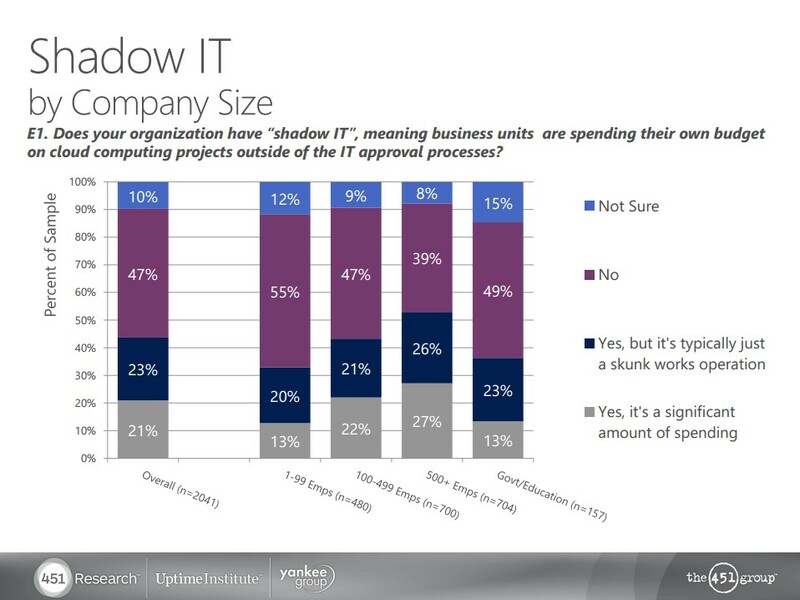 44% of enterprises globally have “shadow IT”, meaning business units are spending their own budget on cloud computing projects outside of the IT approval processes. The following graphic provides the breakdown by type of organization included in the survey. 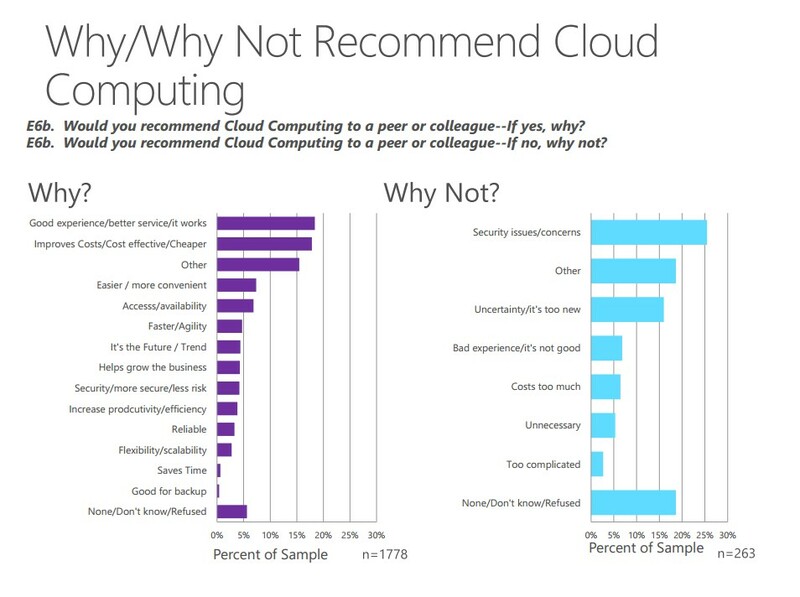 87% of respondents globally would recommend cloud computing to a peer or colleague and 13% would not. When asked why or why not, respondents most often mentioned a good experience and better service/it works (approximately 17%), followed by improving costs/cost effective/cheaper (approximately 16%). Security issues and concerns (25%) and uncertainty/it’s too new (approximately 16%) are the reasons for not recommending cloud computing.